Press Release | WALLDORF | SAP SE (NYSE: SAP) today announced that Snap!, a block-based visual programming language, has been used in over two million coding projects by more than a quarter of a million users worldwide. 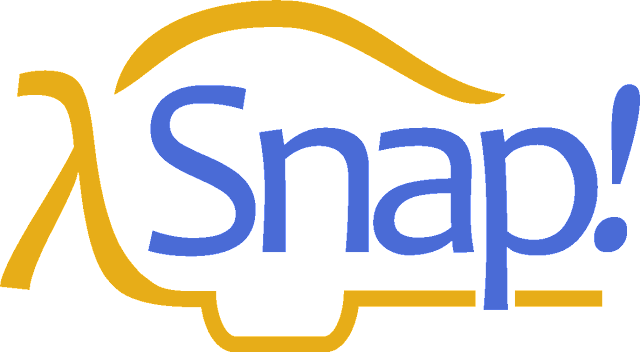 Based on the foundations of Scratch, one of the original visual programming languages, Snap! takes a low-floor, high-ceiling approach to computer science concepts by appealing to the needs of both first-time learners and those with prior coding experience. Snap! is available in an open-source, browser-based model, meaning that those interested in computer science are able to learn the language free of charge, without having to download additional software. Drag-and-drop building: Users can easily stack and combine blocks in different categories to create interactive animations, games and apps, to name just a few possible projects. Visual representation: Pictures are used to represent complex ideas such as loops, Booleans and threads, helping learners to visualize why certain combinations work together – almost like putting together a puzzle. First-class data types: Unlike many other visual programming languages, Snap! makes blocks and data structures first class, allowing users to create control structures and lists of lists. Group-based learning: Snap! concepts are best learned in partner and group-based projects. By taking a block-based approach versus a text-based approach, users from different cultures are able to overcome common language barriers. Snap! course content is currently offered through the University of California at Berkley. It has also been made available to students from elementary to high school levels through summer camp courses and the SAP Young Thinkers program’s Go Digital Night events. In an effort to make the programming language more broadly accessible, the openSAP platform now offers a free course dedicated to introducing Snap! to tech novices and teachers. Snap! is also part of the Learning for Life initiative from SAP.